Have you ever heard the saying “We should be thankful for the little things”? Very few people under the age of eighteen can say they understand what it means to be thankful for the little things. It’s not until one is older, out of the home and seeing the world through the eyes of an adult facing difficult and sometimes costly decisions that a new sense of appreciation begins to develop. Through various stages of a person’s life, stopping to appreciate the small things might come in seasons. 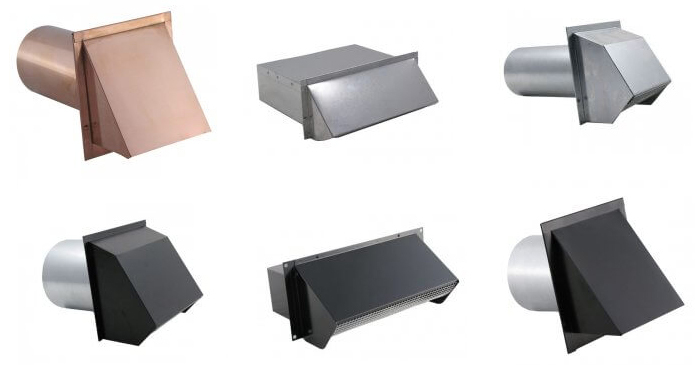 Home ventilation might seem like a small and insignificant aspect of a home when compared to the roof or the foundation of the home but is still an important aspect of the home’s ability to operate to its full capacity. Without the ventilation system in place, the air in the home can become unsafe. Consider the quality of air when food is burnt while cooking; imagine what would happen if the heat produced from drying clothes had no place to go or if the unpleasant odors that at times can develop in a particular room in the home was left float about the house as it pleases. Metal vents are used to assist homeowners from having to endure such un-pleasantries as a smoke filled, muggy or stinky room. Metal vents are durable and have simplicity about them that anyone can cooperate into the décor of their home. Metal vents are also much more affordable then costumed air vents. Vents are used to cover the holes left from the ventilation installation. Metal vents are used not only to protect homeowners from stepping down into the ventilation hole and causing damage; as well as provide a barrier for creep crawling things that sometimes like to come into a home when uninvited. Vents play a huge role in regulating the air flow that comes through them. Depending on the purpose of the vent, size shape and purpose may differ somewhat but one thing that does not change is the vents importance in completing the look and feel of the home. For more information about which vent is right for your home speak with the experts at FAMCO.